Insurance Adjuster, speaking to Claimant: “You don’t need an attorney because I’m going to settle the case with you.” Unfortunately, we hear this story quite often. Insurance companies care about one thing – cash. They exist by making large profits, and they do this by paying out a whole lot less money than they take in. All insurance companies have lawyers who are on call, basically, to assist in this regard. They just love it when you don’t have one. Because of the multitude of benefits potentially available to an injured worker under our Workers’ Compensation Act, it would be very difficult, if not impossible, for an injured worker to even attempt to guess how much his or her case might potentially be worth. Insurance adjusters know this, so they try to run the settlement show, completely unimpeded. 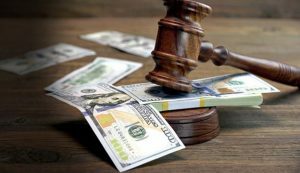 A typical scenario would be for the adjuster to send the Claimant a letter with various “calculations,” followed by an offer to close the case for a certain amount. Another tactic is to have their insurance lawyer (most of whom know a whole bunch about workers’ compensation law) approach the injured worker with a settlement number and an offer to draft a set of settlement paperwork for the Claimant to sign. With either option, one thing is pretty much for certain – these insurance folks probably aren’t going to just give away a bunch of money, unless they’re aggressively pressed to do so. Although the Workers’ Compensation Act has a built in safety provision for injured workers, wherein all settlements have to be approved by a judge, the Commission has the authority to approve a settlement forged by an insurance company and an unrepresented Claimant for an amount that is at the very lowest end of the claim’s fair market settlement value, or even lower, so long as it is deemed to be in the Claimant’s best interests. Doesn’t it sound like a better option to arrive at the settlement hearing with a deal that’s on the very highest end of the claim’s fair market settlement value, or even more? At Hart Law, we squeeze every dime of settlement cash out of insurance companies. Have questions about your settlement or how much your case could be worth? We’re here to help, anytime.